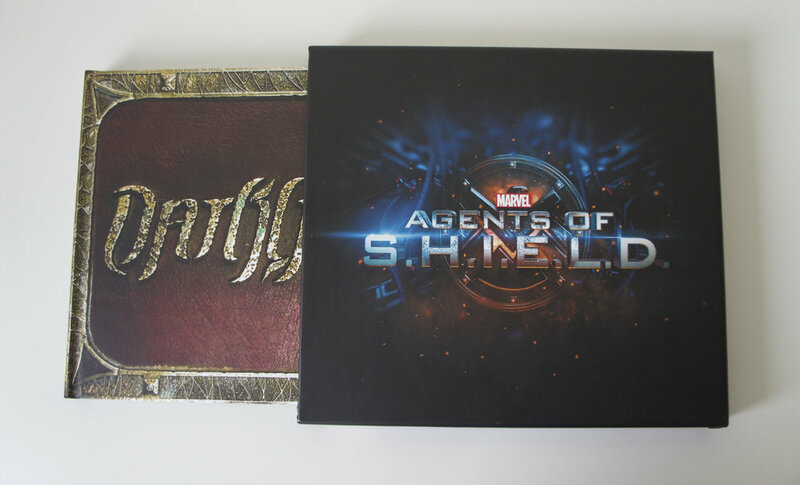 Available now at your local comic shop, Barnes and Noble, or online via Amazon - Marvel's Agents of S.H.I.E.L.D. Season Four Declassified! Dive into the world of Ghost Rider, LMDs, and the mysterious and backwards Framework is this must-own collectable hardcover. Within the pages, get episode synopses, analysis from the cast, creators and writers of the show, behind the scenes tidbits and documentation, photos, artwork, and a whole lot more! As always, this book was an absolute joy to write from start to finish. For more information head to the book specific page here on the site! Posted on October 17, 2017 by Troy Benjamin and filed under Books, SPT News and tagged marvel marvel's agents of shield season four declassified marvel's agents of s.h.i.e.l.d. season four declassified clark gregg ming-na wen chloe bennet fitz-simmons ghost rider. Get Declassified Once Again with Marvel's Agents of S.H.I.E.L.D. Season Three Declassified! Now available at online booksellers like Amazon and Barnes & Noble, local comic shops, or wherever fine publications are sold - Marvel's Agents of S.H.I.E.L.D. Season Three Declassified by Troy Benjamin! This 248 page hardcover continues the tradition of providing an excellent resource to fans of the series and the Marvel Cinematic Universe by giving you a full and detailed episode guide along with analysis from the writers, producers, and cast of the show, as well as looks behind the scenes on the stunts, visual effects, costumes, props, even the sounds required on a weekly basis for ABC's hit series! - A foreword penned by Daisy Johnson herself, Chloe Bennet talking about her experiences on the show. - "The Sound of S.H.I.E.L.D." a top to bottom look behind how sound factors into each and every episode of the series, from what is recorded during production (and what is not) to what is added later in post-production. What does Daisy's "Quake" ability sound like? Do they smash a lot of car windows to get that sound? Find out in the book! - A changed Director Coulson, Clark Gregg on love found and love lost - and what the tragedy he experiences in Season Three does to forever change his character. - A look back on the evolution of Grant Ward into Hive, including conceptual artwork and commentary from the show runners and Brett Dalton himself! - L.O.V.E. on S.H.I.E.L.D. - just why are relationships so difficult in the modern spy workplace? And how and why was this the right time for two "cursed" lovers to come together in the series? 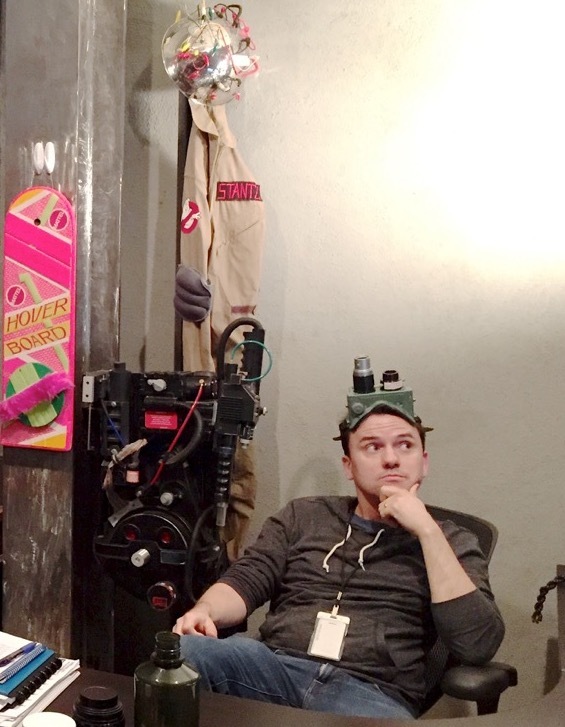 Elizabeth Henstridge and Iain De Caestecker give you their thoughts in this year's book! As always, these behind the scenes tomes are such a joy to write - hopefully you'll enjoy reading this season's book as much as I enjoyed writing it! Posted on October 12, 2016 by Troy Benjamin and filed under Books, SPT News, TV and tagged agents of s.h.i.e.l.d. agents of s.h.i.e.l.d. 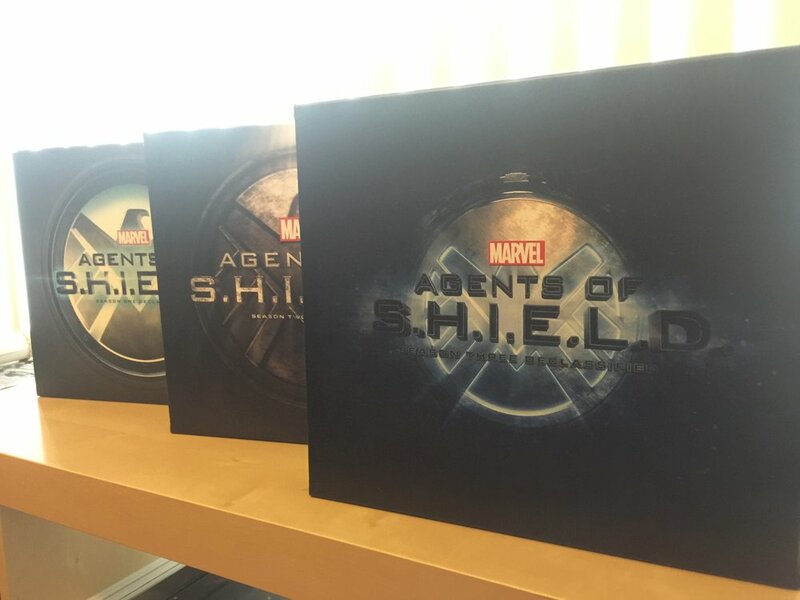 season three declassified behind the scenes troy benjamin marvel marvel comics marvel's agents of s.h.i.e.l.d. marvel's agents of s.h.i.e.l.d. season three declassified clark gregg ming-na wen chloe bennet brett dalton elizabeth henstridge iain de caestecker.